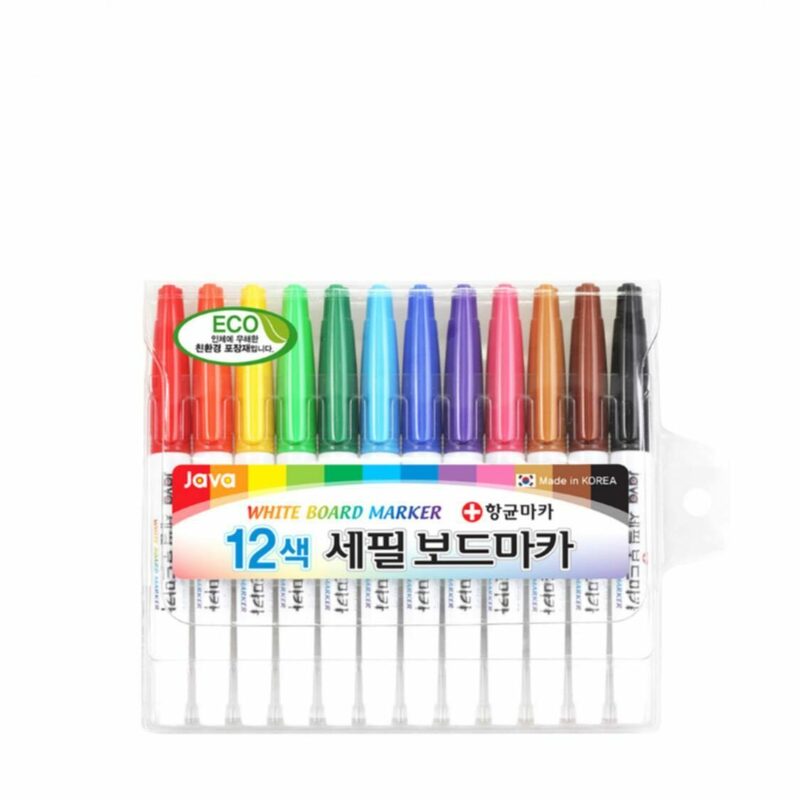 whiteboard marker set of 12 brilliant and clean colors that writes and can be erased well. Microban antimicrobial protected PP body safe for use by infants or in hospitals. EN-71 certified safety cap to prevent choking when swallowed by children stylish white body with colorful decal printing solid and smooth high-quality round nib writing distance of more than 450 meters.